Size: approx. 10 mm. Photo: 06/18/11, 11 am. A young garden spider on its characteristic zigzagging web. These thicker features are called "stabilimentum" and do a pretty good job camouflaging the animal. They might also protect the web from destruction by birds (and me). 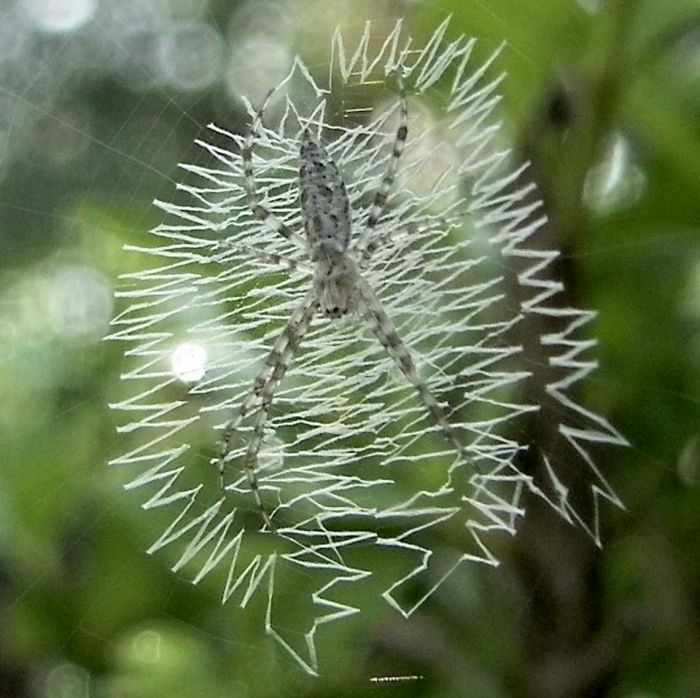 This spider belongs to the genus Argiope which has four species in Florida.